Hey guys, back at you with something a bit different from my usual but something I really enjoy so I hope you do too. 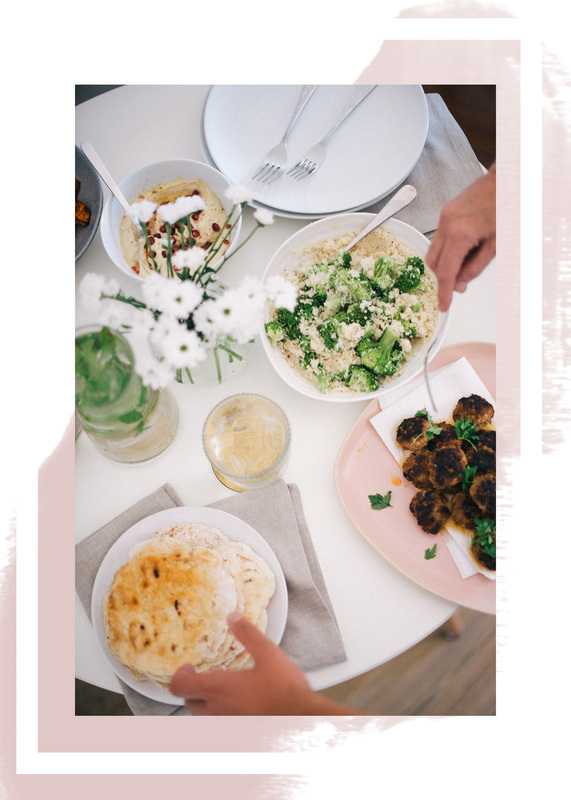 I’m such a home-bird and as I’m sure you’ve guessed from my interiors posts, I love buying bits and bobs for the flat so whenI was selected to choose products from the House of Fraser homeware range to create a dining setting ready for Summer and a meal to match, I jumped at the chance! I decided to cook a big spread for my Mum and boyfriend (they met on Sunday – all went well, totally putting that down to my cooking though!) with a loosely based Lebanese theme and thought I’d share the process, recipes and everything else along the way with you! I decided on lamb kofta ‘things’ as Kim (boyfriend) had made these for me recently and they were amazing so these were the main per-se. 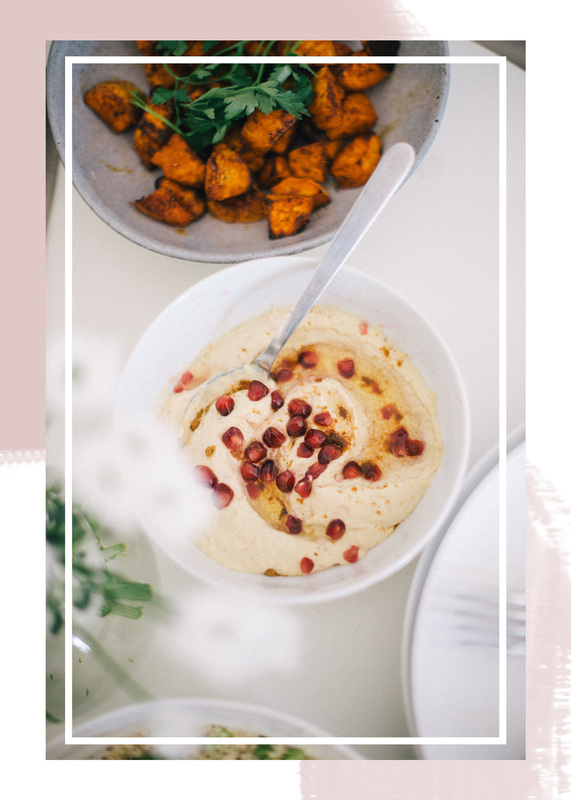 Alongside those, I made flatbreads using just three ingredients – they’re honestly amazing so read on for the recipe, as well as a big salad, lemon and garlic couscous, some hummus and sweet potato cubes. Naturally I couldn’t make a dinner without including halloumi and chargrilled sweet peppers so they were thrown in for good measure. I picked out some new pieces to serve them all on. I wanted to go for a Summer, indoor al-fresco vibe (London living means no outdoor space, sob) so I went for neutrals and mismatched colours to compliment them. 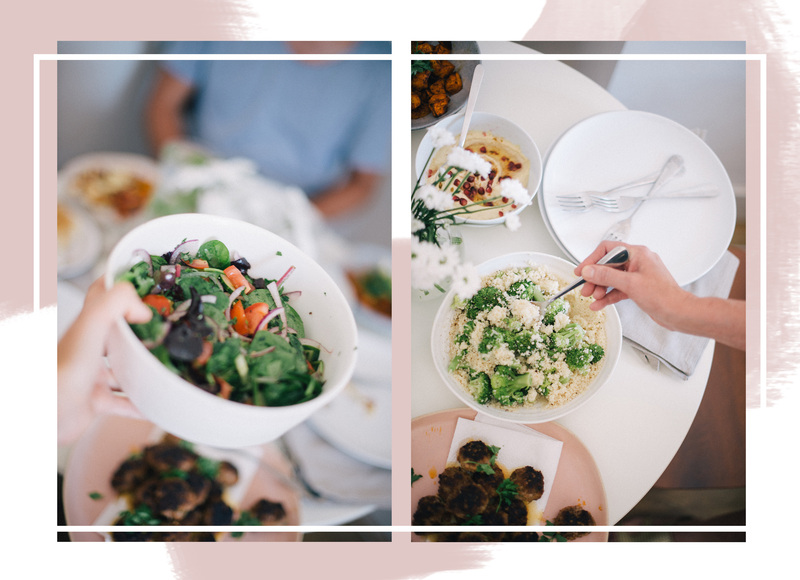 I absolutely adore random pieces coming together to make a collective when it comes to the dinner table to that was definitely my theme throughout. I managed to find these Celier assorted glasses too, which come as a set of six but are three different designs so they have a real vintage feel to them. But, it’s worth taking a lookat the House of Fraser glassware range to browse through more lovely pieces. Lastly I finished the table off with this amazing LSA globe shaped vase and some LINEA neutral coloured cotton napkins something I’ve weirdly never owned but look lovely spread across the table! Now, onto the recipes. I won’t explain everything, as a lot is fairly self explanatory, for example I just cubed the sweet potato and drizzled in cumin, paprika, salt, pepper and olive oil then popped them in the oven to roast, but I’ll explain the trickier bits and do feel free to pop me a message if you get stuck as most of these things are just my own recipes! Finely chop the onion and garlic, and then combine all the ingredients in a bowl! This is pretty simple in that it all goes in a bowl and gets mixed up – but remember to get your hands in there! Once it’s well combined, form into small flattened balls and then fry in a splash of olive oil on a high heat. I like them a little bit charred as I don’t have a way of chargrilling them but that’s up to you! Welcome to the best thing you’ll make all week. I haven’t put the amounts as I find working by eye is best with this one. I start with three tablespoons of yoghurt and flour and add until the consistency is a light dough. Flour up the side, and roll into small, thin circles and then dry fry in a very, very hot pan. Expect some smoke from the flour so pop the extractor fan on! Another super easy dish, cover your dry couscous (so nice they named it twice) with boiling water and cover with a lid for two minutes to puff up. Boil your broccoli to taste in a pan. While this is happening, juice your lemons and finely grate your garlic and combine – it’s pretty pungent so feel free to lose a clove if you’re not as keen as I am, but I do find that couscous needs a real kick as it’s so bland otherwise! Once the couscous has puffed up, pop your harissa and lemon/garlic in and give it a big stir, adding salt and pepper to taste. Finally, toss the broccoli through to coat it. Ta-da! And that’s it, a pretty big Lebanese spread that would happily feed 4-5 people. Kim took a packed lunch the next day (and the cat nabbed a kofta) so it’s perfect for leftovers too. Do let me know if you need any help with any of the recipes, as I said – I tend to make things up as I go along and hope for the best so I’m not the best at explaining it! Anyway, have a fab day and send me pictures if you make anything – or equally if you have any amazing crockery I need to know about! 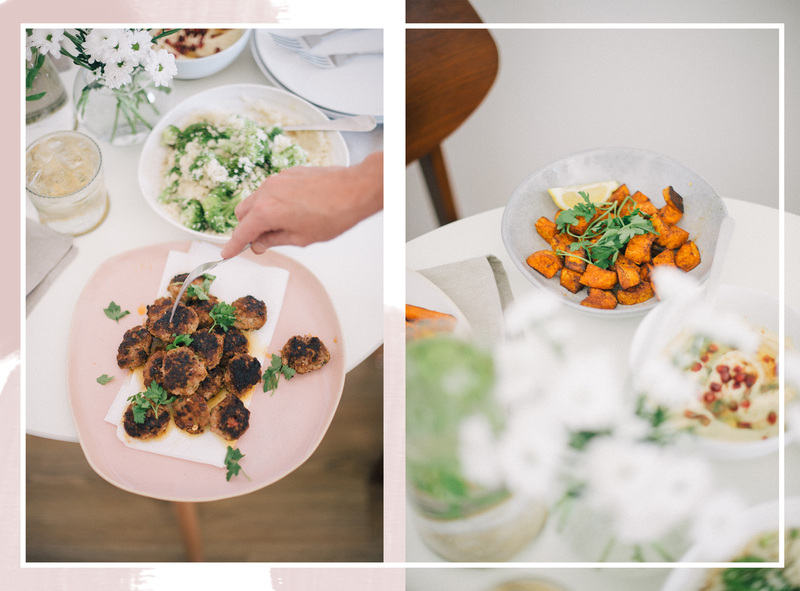 Post in collaboration with House of Fraser, but all thoughts and recipes my own!